SAN RAFAEL, CA--(Marketwired - December 06, 2016) - PAC Machinery, a leader in the heat sealing and flexible packaging industry, announced the successful rollout of their new 48″, Vertrod PS Med Validatable Medical Sealer at PACK EXPO / Pharma EXPO 2016. Initial analysis confirms that PAC achieved their stated goals for introducing the versatile new sealer at the 4-day event hosted at Chicago's McCormick Place. The Vertrod PS Med impulse sealer is designed for medical applications requiring heavy-duty sealing of wide materials that require process parameter validation. These sealers are generally used in medical packaging or fabricating applications and are easily integrated with other automated equipment. The PS Med impulse sealer is capable of making hermetic seals with temperatures ranging from 200°F to 650°F. The heavy-duty welded steel frame provides the stability necessary to make seals up to 120″ long and seal widths up to 0.75″ wide. Designed for versatility, the open-back design enables the user to operate the machine from the front or rear of the sealer. This configuration facilitates material pass-through ability for an un-interrupted flow of film. The PS Med is equipped with the new MedLogic medical control system and user interface. The controller provides a precise temperature-based system with real-time monitoring of all sealing parameters. The sealer is engineered for those critical applications requiring seal validation. In the unlikely event that the sealer strays outside of the predetermined settings, the built-in alarm function prevents further operation. External verification ports provide for convenient calibration of the controller. The Vertrod PS Med is available in seal lengths ranging in size from 36″ to 120″ with a variety of options for flat seals, trim seals, or a combination of both. 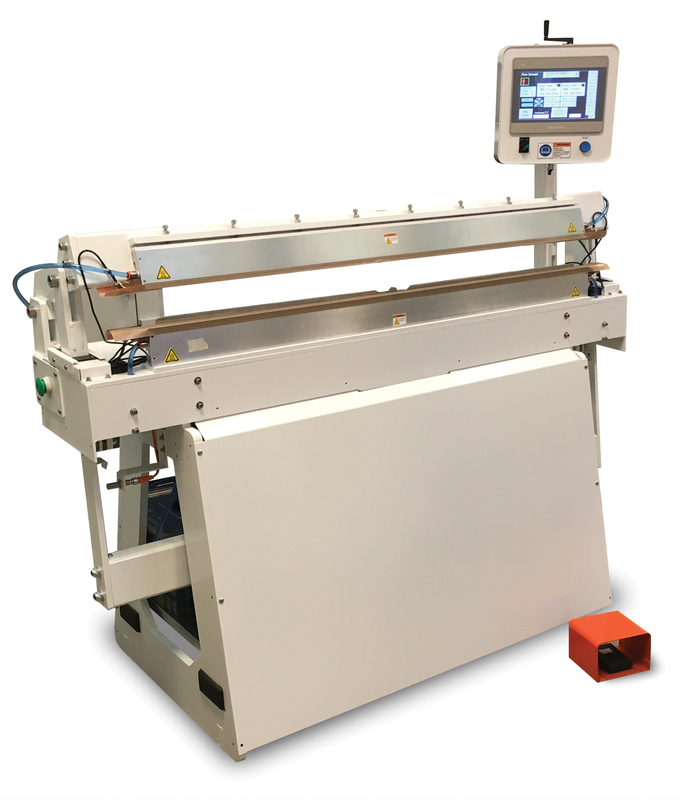 The Vertrod PS Med validatable impulse sealer is made in the USA and features a 3-year limited warranty. "Pharma EXPO is the ideal venue for introducing the PS Med Sealer as medical sealer prospects are actively seeking solutions to their packaging challenges" remarked Brian Jobson, PacMed product manager at San Rafael, CA-based PAC Machinery. PAC Machinery is a privately held company headquartered in San Rafael, California. The company manufactures equipment and materials that are used in the flexible packaging industry. Products include heat sealing equipment, vacuum sealers, automatic baggers, pre-opened bags on a roll, and shrink packaging systems. The company has had its roots in the packaging industry since the early 1950's, and now designs, manufactures and markets products through its family of companies: Packaging Aids, Vertrod, Clamco, Rollbag Systems and Converting Technology. 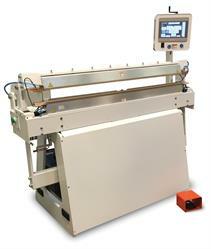 PAC Machinery is the exclusive, North American distributor for Audion bag sealers. Manufacturing facilities are located in San Rafael, CA; Berea, OH and Menomonee Falls, WI. The Vertrod PS Med impulse sealer is designed for medical applications requiring heavy-duty sealing of wide materials that require process parameter validation. These sealers are generally used in medical packaging or fabricating applications and are easily integrated with other automated equipment.